Even as the national debt remains a grave threat, ward representatives have resorted to wasting public resources in their quest to line up their already fat pockets. According to Auditor General Edward Ouko’s report for the year ended June tabled in Senate on Thursday, the loss misuse of resources is due to infighting between the MCAs and the speakers for the control of resources. While in some counties it is due to the tribalism, unexplained discrepancies in the budget, expenditure, inflated car loans and mortgage. 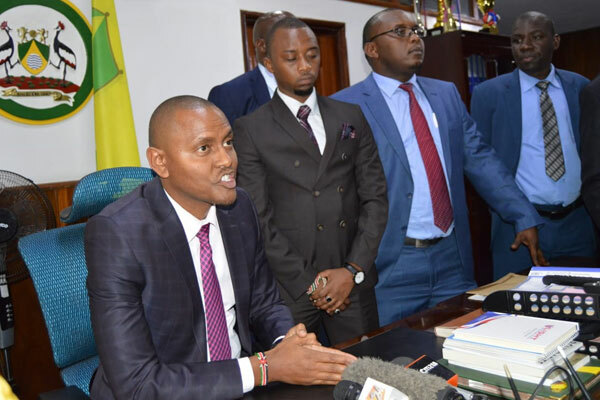 In Nairobi county, for example, ranked number 13 of 22 most wasteful counties, Ouko noted that Sh70 million of Sh107 million paid to Lap Fund was not supported by payment vouchers. In his report, he also denotes that Sh780 million paid to employees and Sh13 million spent on office and general supplies and services could not be confirmed. The county assembly also spent Sh12.5 million in sitting allowances. Consequently, the county assembly spend Sh100.3 million in meetings instead of Sh88 million as budgeted. The assembly after ousting Speaker Beatrice Elachi and under the leadership of Ngara MCA Chege Mwaura halted foreign travel by its members until next year as a result of a budget shortfall. “We resolved to go slow on foreign trips after looking at the resources we have. It was a difficult decision but we saw the need to reorganise ourselves and focus on priorities,” Mwaura said. Also making the list of wasteful counties is; Lamu, West Pokot, Trans Nzoia, Elgeyo Marakwet, Kakamega, Vihiga, Nandi, Kisumu, Uasin Gishu, Homa Bay, Nyamira, Nakuru, Machakos, Kajiado, and Makueni. Tana River, Kilifi, Kwale and Mombasa counties also made the shameful list.